What Exactly Is a “Catastrophic Injury”? 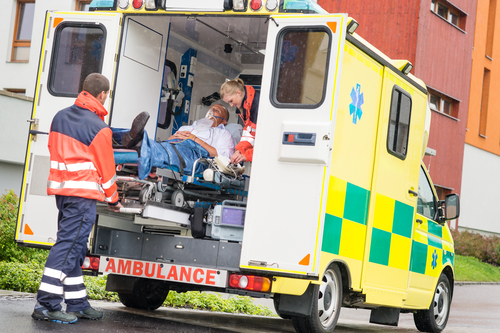 Catastrophic injuries are severe or extreme personal injuries. They can occur in a wide variety of situations to any individual. Although there isn’t one clear, universal definition of a catastrophic injury, when a court does determine that an injury is catastrophic, the case usually involves higher damages. The most important factors in determining whether an injury is catastrophic is the length and extent of the debilitation and the extent to which the injury affects the sufferer’s life. Catastrophic injury is typically defined as any injury that permanently disables or disfigures the individual and prevents them from working or supporting themselves and their family. When suffering from an injury of this magnitude, the individual faces large medical bills and lost wages from being unable to work. They also usually have to deal with the emotional toll of experiencing the injury and the stress of being unable to work or participate in their hobbies. In some cases, people who have sustained a severe injury can receive training or education for a new career that fits their limitations. However, the training can be expensive. Catastrophic injury cases are similar to personal injury cases, but because the damages are much higher, the plaintiff must make even more thorough and elaborate arguments to win the case. Often times, medical experts will testify to what medical treatment the sufferer will need over the course of their lifetime. If you’ve suffered a catastrophic injury, you’re probably experiencing physical pain, limited mobility, and stress from your medical bills or other expenses. You don’t have to handle it alone, though. You can contact Sigmon Law Trial Lawyers to speak to personal injury lawyers in Houston and receive the compensation you deserve for your trouble. Your Houston personal injury lawyer will take care of the legal aspects of your case, so you can focus on recovering.